Let us welcome you to Gusto al Borgo Italian Cooking school especially dedicated to foreigners and located in a 16th century historical palace in the center of Casperia, a medieval village in the heart of the Sabina region, at less than one hour drive from Rome. Here you will enjoy the view of the hills and the landscape directly from the kitchen and the dining room where we will serve you a welcome coffee along with homemade appetizers and snacks. Before starting your cooking class you will wear your personal apron and chef hat and you will join chef Paola and her staff in a professional kitchen where you will use the tools and the ingredients to cook special and delicious dishes from the Italian tradition. You will spend approximately 3 hours learning how to prepare “hands on” a full, traditional Italian complete meal consisting of appetizers, several kinds of handmade pasta, main course and dessert choosing either our standard menus or customizing it in advance when booking. We can also offer special vegetarian, vegan and gluten free menus, giving you special advice and guidance to let you easily recreate at home what you learned. During the class you will have the chance to sip our delicious wine, to taste our D.O.P. extra virgin olive oil, to appreciate the freshness and the fragrance of the locally grown herbs and vegetables and of all the ingredients of the Italian traditional cuisine. 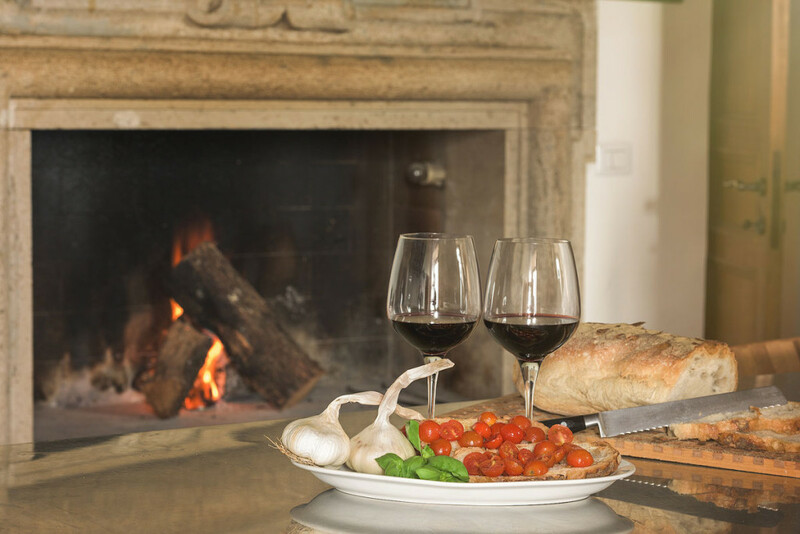 At the end of the preparation we will serve you in the charming dining room the meal you have prepared along with delicious wine and homemade digestive liquors. Finally you will receive as souvenir your apron and hat as well as the recipes of the food we prepared together and that you will be able to cook easily at your home.